Massage is an important element of complementary and alternative medicine. It is increasingly being offered along with standard treatment for a wide range of medical conditions and situations. ​While Jeanne recently joined our massage department, it seems she has been a part of our office family for years. She is talented, kind, and enjoys providing great service. 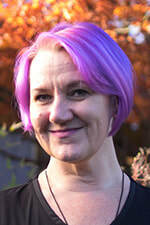 A graduate of Alexander School of Natural Therapeutics, Jeanne is well versed in a variety of techniques from Swedish and Deep Tissue Massage to Myofascial Release and Trigger Point Therapy, to address new injuries, longstanding aches and pains, or to provide an occasional relaxing respite from a busy, or stressful day. In addition to the joy of seeing clients emerge from a session transformed, Jeanne loves gardening, going to concerts, traveling, and adventuring outdoors with her husband, Chris.